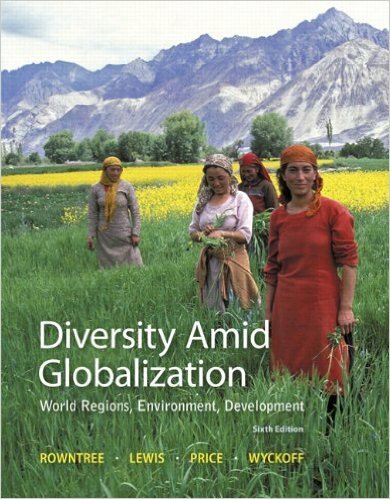 Now that Joe Biden is a possible candidate for the 2016 U.S. presidential election, attention is again falling on a 2006 editorial in which he and Leslie Gelb advocated dividing Iraq into three ethnically based regions. 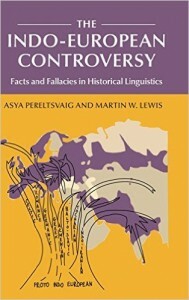 At the time of its publication, the Biden-Gelb essay was widely misinterpreted as a call for dismantling Iraq altogether and replacing it with independent Sunni Arab, Shia Arab, and Kurdish states. But Biden, Gelb and their defenders were quick to insist that their intention was actually that of saving Iraq by restructuring it as a federation, giving substantial autonomy but not outright independence to these three regions. As this controversy made clear, any proposal for the actual dismemberment of Iraq was essentially unthinkable at the time for the U.S. foreign-policy establishment. The existing geopolitical order had to be maintained, such thinking had it, in order to preserve stability. If the Kurds of Iraq were to acquire their own country, what would prevent countless other disgruntled ethnic groups from demanding the same? 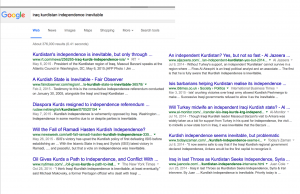 If the international community were to consent to Kurdish desires and recognize their independence, anarchy could spread across the region and eventually, perhaps, the entire world. As a result, the mere mention of partition was generally dismissed out if hand. Fusing Iraq back together would require considerable force and would probably result in massive bloodshed, as well as the suspension of the dream of democratic governance. Can we reasonably imagine that the Peshmerga would be willingly folded into the Iraqi military, as would be demanded if a truly unified state were to reemerge? Does anyone who understands the actual situation think that the Iraqi Kurds would voluntarily submit to Baghdad and allow the dismantling of the essentially sovereign state that they have struggled so hard to create? By the same token, is it reasonable to assume that the Sunni Arabs of the northwest would acquiesce to a united, democratic Iraq in which the Shia majority holds electoral sway? The events of the past 12 years certainly indicate otherwise. I, for one, would be willing to bet a considerable amount of money, and at unfavorable odds, that Iraqi unification will not occur within the next 10 years — or any other time period that one might specify. The best hope for rebuilding some kind of state within Iraqi’s recognized boundaries would be something on the order of the Biden-Gelb plan, allowing the three main regions to enjoy de facto but not de jure sovereignty, sharing little more than membership in international organizations. 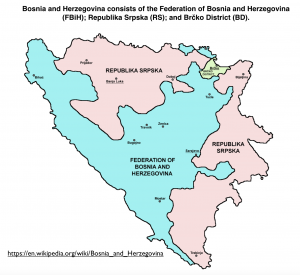 The result would be a largely fictional country, similar to Bosnia and Herzegovina, in which the main groups maintain largely peaceful relations mostly by limiting their interactions. But any such arrangement would be viewed by most Iraqi Kurds as a temporary expedient, a mere a way-station on the route to actual independence. 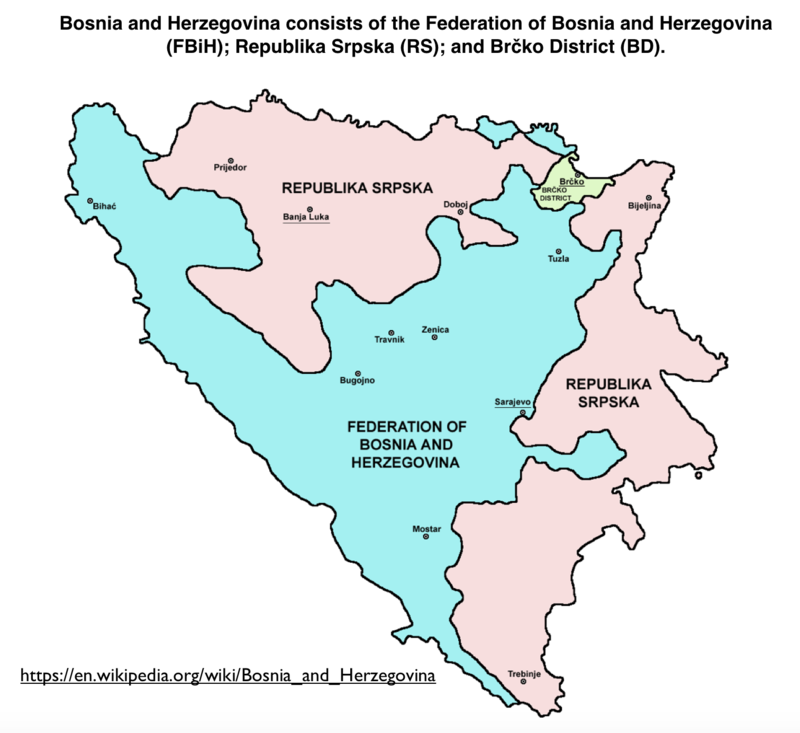 I am not a nationalist, but if Bosnia and Herzegovina is left like this there will be another war in the Balkans. I don’t want another war, my family already suffered in the 1990s war. 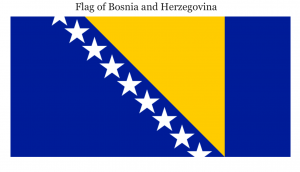 Just look at the artificial flag* of Bosnia and Herzegovina, [which] shows that this entity is a EU and USA protectorate. Put differently, the diplomatic charade embodied in the creation of an artificial federation that forces mutually hostile groups into the same “country” might buy time, but it will not solve the underlying issues. This is not to argue, it is essential to note, that there was anything historically inevitable about the mutual antipathy found among Croats, Serbs, and Bosniaks in Bosnia and Herzegovina (or, for that matter, among Iraq’s Sunnis Arabs, Shia Arabs, and Kurds.) Given different historical circumstances, a sense of Yugoslav identity might have prevailed, leading to the perpetuation of Yugoslavia. But that did not happen, and the events of the past quarter-century cannot be wished away. 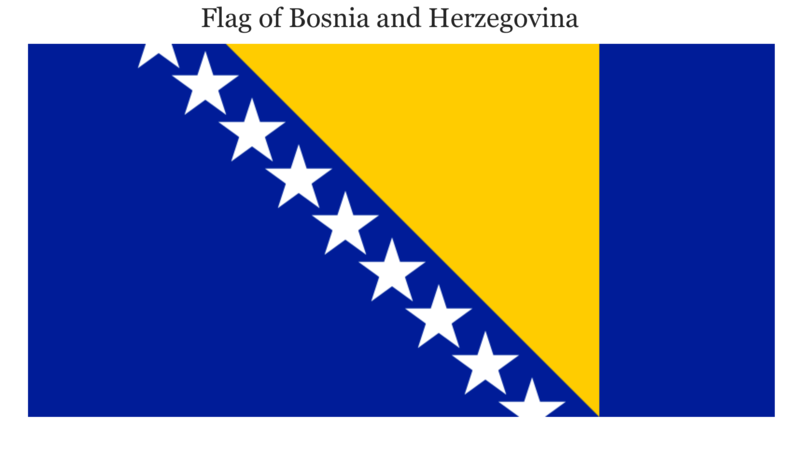 Yugoslavia is gone for good, and Bosnia and Herzegovina appears to be headed in the same direction. A curiously vegetative state, Bosnia and Herzegovina is kept alive only by the artificial life-support system of the international community. Should we wish the same for Iraq? The insistence on maintaining the superficially existing geopolitical framework flows from an exhausted doctrine that has itself become a major obstacle to peace. Recent events have made a mockery of the idea that the partition of Iraq could be dangerously destabilizing, as complete destabilization—and far worse—has already occurred. 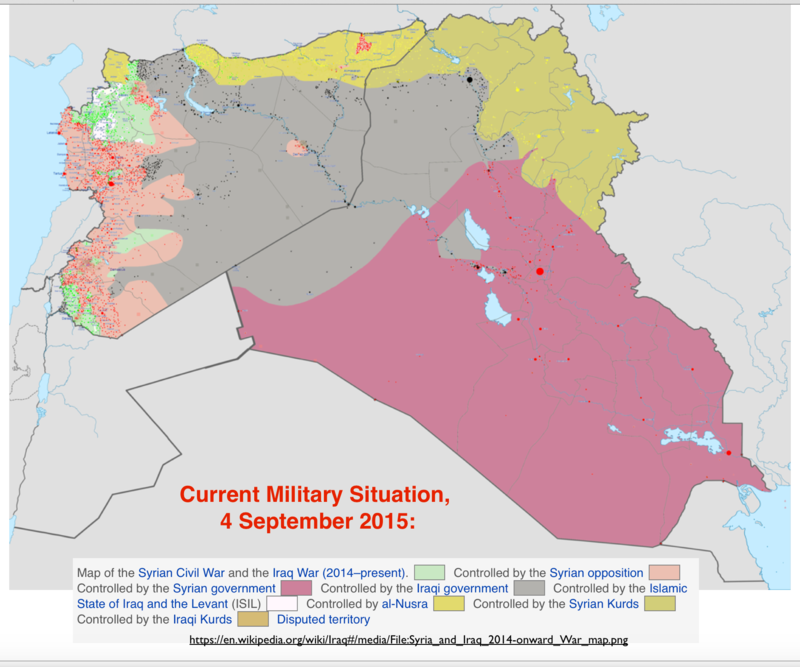 The terror state of ISIS that has spread its tentacles over a vast swath of Syria and Iraq draws much of its strength from the international community’s insistence that these imperially imposed entities remain inviolate regardless of the desires of their residents or the realities on the ground. The break-away state of Iraqi Kurdistan, on the other hand, is a refuge of stability and effective governance, not the font of insecurity imagined by those who sanctify preexisting borders. The idea that rewarding such success with diplomatic recognition would somehow prove disruptive to some imaginary Iraqi peace process is laughable. Nor is Iraq the only country in the larger region that has collapsed beyond the point of reconstitution. Yemen and Libya might remerge as coherent states, as their fall was recent, but I would not count on it. Syrian reunification is even more of a long shot, as its national unity is too weak and its mutual antipathies too entrenched. And what of Somalia? Like Iraq, Somalia ceased functioning as real country nearly a quarter-century ago. 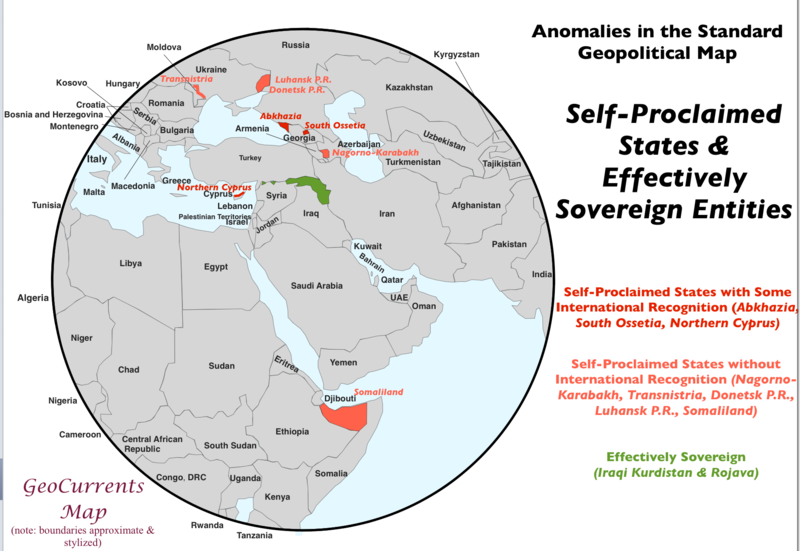 Since then, its geopolitical contours have remained in flux, with territories passing among its weak provisional government, Islamist forces, and autonomous warlords. But Somalia also contains, like Iraq, one relatively well-run, stable government that acts as a sovereign power despite its lack of international recognition: Somaliland. 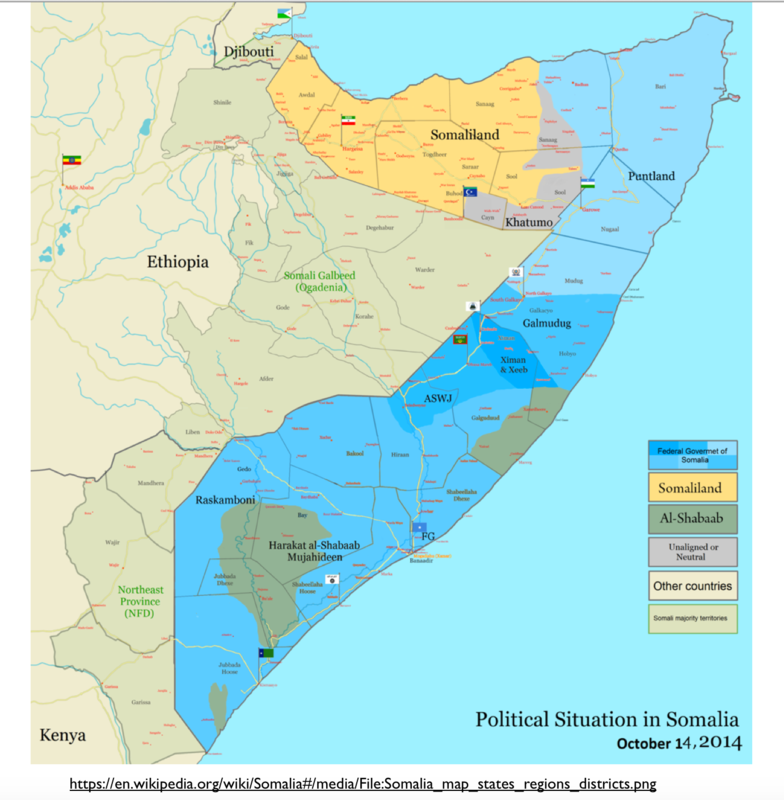 The reunification of Somalia, difficult as that is to imagine, would probably require the crushing of Somaliland, as Hargeisa (Somaliland’s capital) would be no more willing to submit to Mogadishu than Erbil (Hewler, in Kurdish) would be willing to give in to Baghdad. 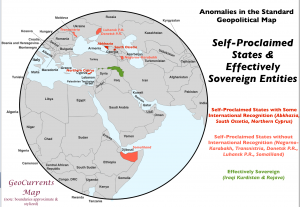 Attempting to revive the moribund states of Iraq and Somalia would, in all likelihood, prove far more disruptive than acknowledging the functioning states of Iraqi Kurdistan and Somaliland. In the end, I cannot avoid the conclusion that the dream of reunifying Iraq and Somalia is deadly delusion, a mirage generated by viewing global political geography not as it actually is, but rather as the diplomatic establishment thinks it should be. Such a blinkered worldview is unfortunately ubiquitous, encoded in our basic world-political maps. In the United States, these ideologically laden documents not only show a country that collapsed decades ago (Somalia), but even depict a country that has never existed, other than in the imaginations of diplomats and insurgents (Western Sahara). 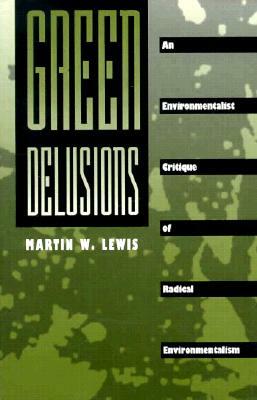 How many years—how many decades—have to pass before we can acknowledge reality and drop our geopolitical illusions? Abandoning pretense and facing the truth is a necessary precondition for achieving peace and stability. 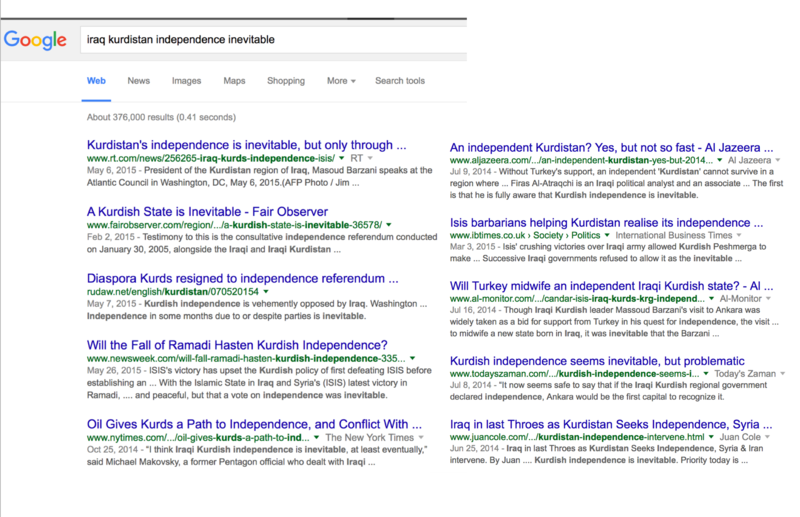 Those who fear the recognition of Somaliland and Iraqi Kurdistan usually invoke precedent. If a precedent is set by the division of officially recognized countries, they ask, where will the process end? As dozens of countries are plagued by secession movements, they dread the opening of a veritable Pandora’s box of anarchy and rebellion. The precedent argument, however, fails from the outset. It greatly exaggerates the power of the international order while ignoring key events of the past thirty years. In that period, newly independent countries have sprouted over much of the world, while a number of states dissolved completely when their constituent divisions all gained independence. 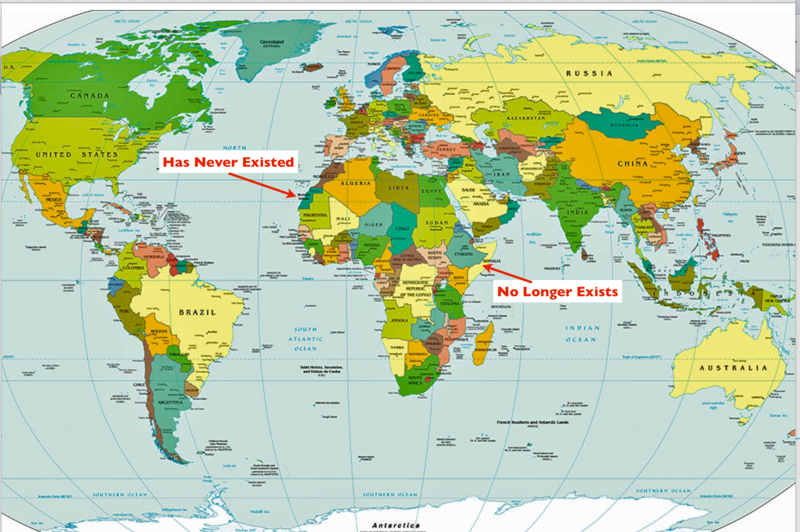 The USSR, Yugoslavia, and Czechoslovakia no longer exist; Eritrea, East Timor, Kosovo, and South Sudan have successfully detached themselves from the countries to which they formerly belonged. Other new states could easily emerge in the near future; as has been made clear, both Scotland and Quebec will be allowed to gain sovereignty if a majority of their voters so decide. If these occurrences somehow inspired militant secession movements, resulting in an uptick of violence and anarchy across the globe, it somehow escaped notice. But South Sudan makes a fraught example, as its independence has hardly been successful. Indeed, the Fund for Peace currently ranks South Sudan as the world’s most “fragile state,” considerably more fragile than even Syria. Although this particular claim is difficult to take seriously, given that Syria has been shattered beyond recognition, it does indicate the severity of South Sudan’s challenges. 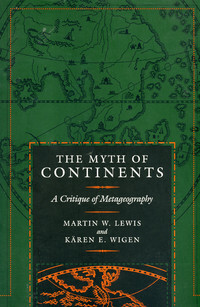 One might therefore conclude that independence was a major mistake, and perhaps even extrapolate this insight to the rest of the world, reckoning that it is best to maintain the world political map exactly as it is, discounting any possible benefits that might result from the partition of failed states. Many solid reasons, however, can be found for dismissing any conclusions drawn from the debacle of South Sudan. I retain some hope that the “world’s youngest country” can repair its cleavages and begin to heal and develop. I am also relieved that its unfortunate people are no longer under the thumb of the Khartoum government, unlike those of Darfur and South Kordofan (the Nuba Hills), who still suffer attacks of almost genocidal intensity. But regardless of its dire predicament, South Sudan makes a poor comparison with either Somaliland or Iraqi Kurdistan. The people of South Sudan made their case for independence on the basis of the oppression that they had long endured along with their tenacious military resistance. They had no experience, however, in running an effective government, holding elections, establishing an independent judiciary, and so on, all of which have been accomplished with some success by both Somaliland and Iraqi Kurdistan. Both of these entities have successfully built their own states over the past several decades, doing so in a chaotic regional environment and with little help from international developmental agencies. In the case of Somaliland, Peter J. Schraeder, persuasively argued years ago that such accomplishments merited the recognition of sovereignty. In the intervening years, little has changed. In constructing their own unrecognized state, the people of Iraqi Kurdistan have had to overcome deep divisions within their own society. 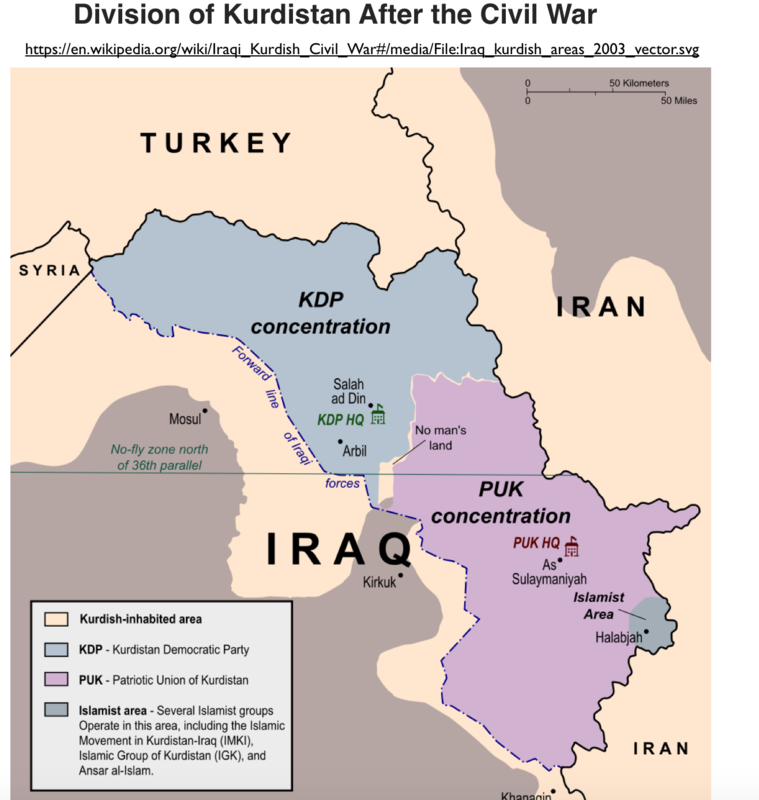 In the mid-1990s, the region’s two main political groups, the Kurdistan Democratic Party (KDP), mostly representing the Kurmanji-speaking north, and the Patriotic Union of Kurdistan (PUK), mostly representing the Sorani-speaking south, fought a brief war. 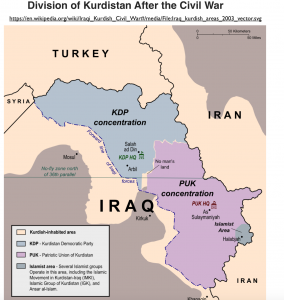 But although regional tensions in Iraqi Kurdistan persist, civil strife is no longer a threat. On both sides of the linguistic/political divide, most people have concluded that Kurdish identity and secular governance trump more parochial considerations. In the intervening years, the Kurdish Regional Government has managed to construct a reasonably united, secure, and democratic order. Much the same, moreover, can be said of the government of Somaliland. Such achievements deserve acknowledgment, ideally by the recognition of full independence. The recognition Somaliland and Iraqi Kurdistan would, of course, generate its own diplomatic complications. The African Union would take quick offense at any country offering formal ties with Somaliland, while Turkey would be furious at any state proposing to do the same with Iraqi Kurdistan. If such a newly independent country were to include any of the Kurdish territories of northern Syria (Rojava), Turkey might even threaten war. But no major foreign-policy initiatives are ever risk free, and all necessarily generate irritation and anger among some interested parties. Considering the horrific and seemingly interminable conflict that has chewed up Iraq, Syria, and much of the Horn of Africa—generating a refugee crisis of global scope—a new approach is required, even if it carries risks of its own. I would suggest that such a new policy begin by abandoning the fantasy map of the foreign-policy establishment and instead recognize the global geopolitical framework as it actually is. Unlike the internationally recognized but non-functional country of Bosnia and Herzegovina, Somaliland and Iraqi Kurdistan are genuine states, taking orders from no other power and running their own affairs as they see fit — and doing so with more capability and liberality than most of their neighbors. As such, they deserve immediate recognition. ** Exceptions exist, as the first condition was not met in the case of Kosovo. As a result, many countries do not recognize the Kosovo’s independence.